35 step-by-step activities to inform children about the workings of the human body. 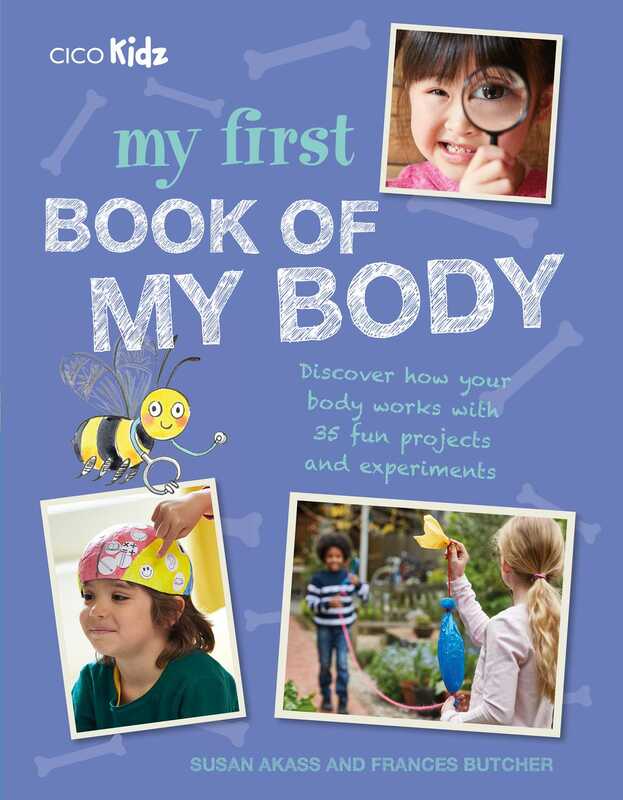 This fascinating and informative book offers children an amazing insight into how their body works. Susan Akass and Frances Butcher make learning fun with 35 engaging experiments that give a thorough understanding of body systems and anatomy. In Chapter 1, The Senses, activities include finding your blind spot, getting dizzy, and making snot! In Chapter 2, The Control Center, children get to test their reflexes and memories, and trick their brain with optical illusions. In Chapter 3, Your Skeleton and Muscles, they can investigate their muscles, joints, and ligaments. Chapter 4, Fueling the Machine, explains why teeth are vulnerable to a bad diet and includes how to make a digestive system, including the poop! In Chapter 5, All Systems Go, there's fantastic fake blood, pulse-testing, and how to make a simple stethoscope. As well as exciting experiments, children will be informed by the anatomical artworks, mind-boggling facts, and invaluable health information throughout. Susan Akass is the general editor of the ‘My First’ children’s craft series, published by CICO Kidz, as well as the author of many popular reading scheme books, children’s picture books, and 'My First Bicycle Book' and 'My First Science Book' for CICO. Susan is also a full-time primary (elementary) school teacher in charge of science. She is based in Bath, UK. Frances Butcher is a doctor undertaking speciality training in public health medicine. She is also a graduate student in global health science at the University of Oxford and lives in Oxford, UK.